For the wedding of Sophia and Fahd, we were asked to combine Morocco’s time-honored traditions with the innovation of a modern, contemporary wedding, creating a sophisticated Past Meets Present theme. 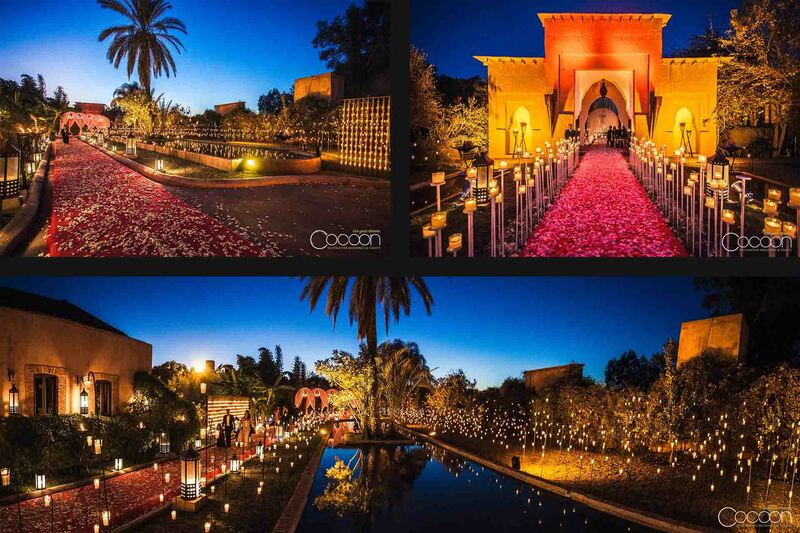 We knew that the perfect Marrakech wedding venue for Sophia and Fahd would be the old magic factory Dar Soukar, owned by Jean Pierre Lentini. As our favorite chef and gourmet caterer, our expectations of Lentini were sky high – and he did not disappoint! 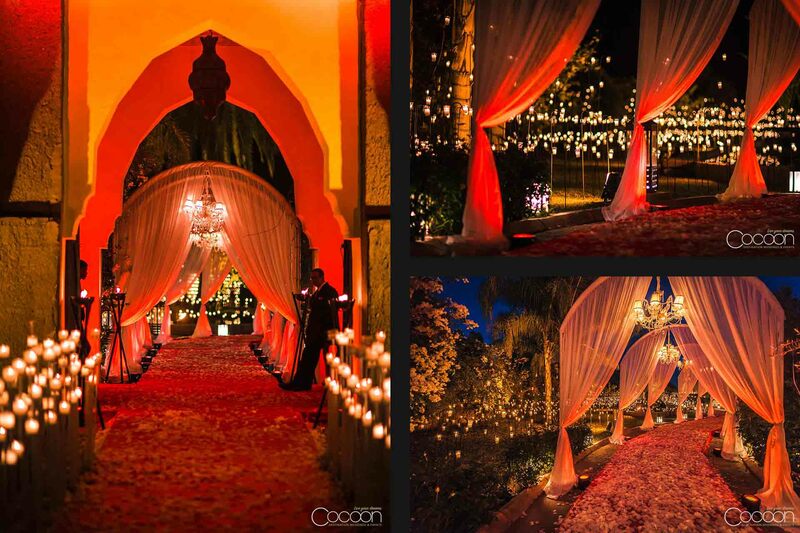 On a cool night in December, 300 guests enjoyed a romantic, mystical wedding experience unlike any other. Guests were transported far from day-to-day reality into an ethereal wonderland as they walked down a thick bed of fragrant rose petals under sparkling chandeliers to the main festivities. 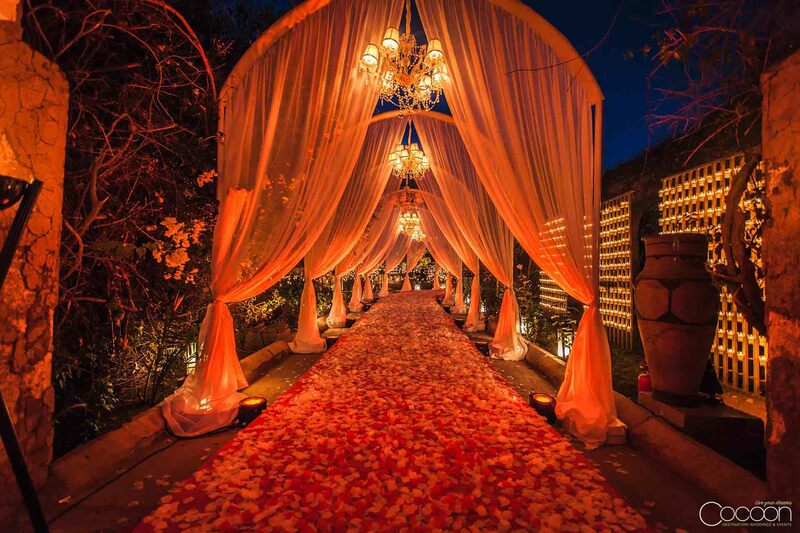 The petals and overhead swags of gently flowing translucent fabric led guests down a pathway from entrance to ceremony – an unforgettable journey that delighted all of the senses. 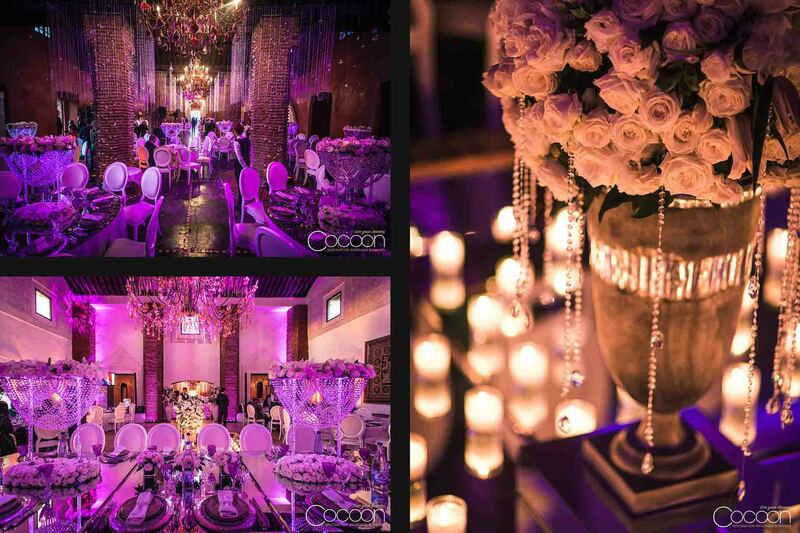 From our first site visit together, through nine months of careful planning, Sophia and Fahd entrusted Cocoon Events’ talented team with designing a unique and memorable wedding day for themselves and their guests. We paid tribute to the magical history of the venue by creating an illusion of light with over 10,000 candles and mirrors. In a nod to the present and a shining future to come for the gleeful newlyweds, we treated the reception dinner space with our signature rain forest effect, complete with generous, overflowing floral centerpieces enhanced with expert professional lighting and highlighted by even more candles and a variety of reflective surfaces. 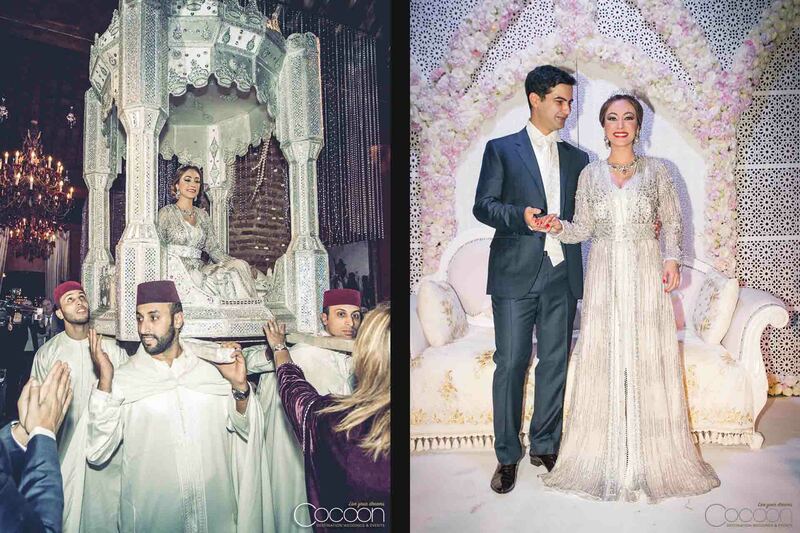 Needless to say, guests were dazzled by the other-worldly feel of Sophia and Fahd’s beautiful destination wedding in Marrakech. The couple was overjoyed with the fruit of their planning, and their picture-perfect wedding. We were honored to play a part in the beginning of their lives together and delighted that we could give them such a magic-infused day.